Event Date: Sunday, 12 April 2015 at 2:00 p.m.
Join us at 2 p.m. Sunday, April 12, when The AMC Museum will present the latest in its continuing series of Hangar Flying events with a very special presentation by Mike Lavelle, noted aviation historian and author. 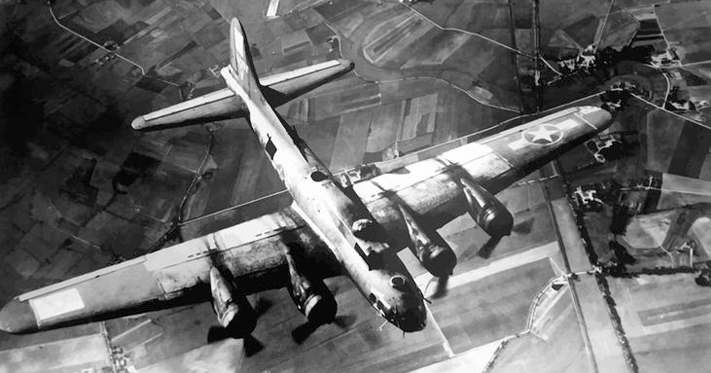 The B-17 Flying Fortress is regarded as one of the Ten Most Famous Aircraft of All Time. Mr. Lavelle spent over fifty years working at Cessna and Boeing and is a Fellow of the Royal Aeronautical Society of Great Britain. As a Flight Instructor and a certified Aircraft and Powerplant Mechanic, he brings a unique perspective to his presentations. Over 12,000 B-17s were produced for WW II and today there are fewer than 50 left in the world. You will be able to watch Mike’s presentation while seated in front of a lovingly restored B-17G restored in the markings of the 381 Bomb Group’s “Sleepy Time Gal” in the museum’s main hangar. Mike will explore the factors and personalities that influenced its development and its place in history. There will be time for questions and answers at the conclusion of his talk and a guided walk around this most famous of America’s WW II bombers. This is a free presentation as part of the AMC Museum’s educational outreach program. Donations are appreciated. Reservations are not required.